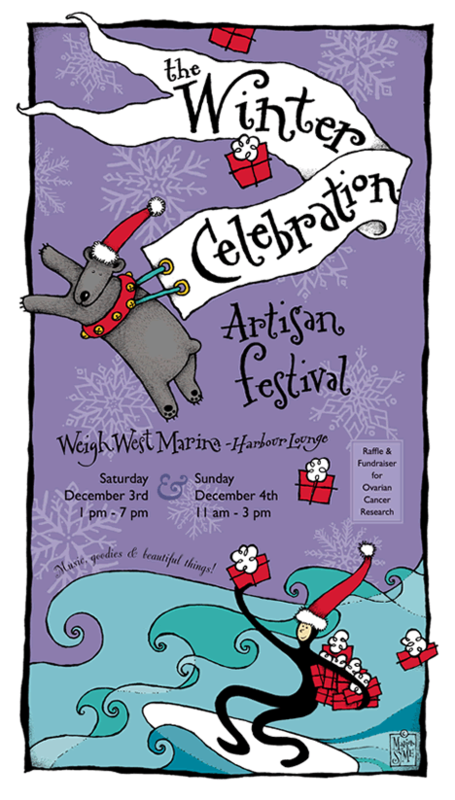 The Winter Celebration Artisan Festival, an annual pre-Christmas tradition in Tofino, takes place on December 3 & 4, 2011 in the Harbour Lounge at the Weigh West Marine Resort in Tofino. Perfect for finding a true Tofino Christmas gift, the festival features many Tofino artists and artisans, ready to show and sell their arts & crafts. 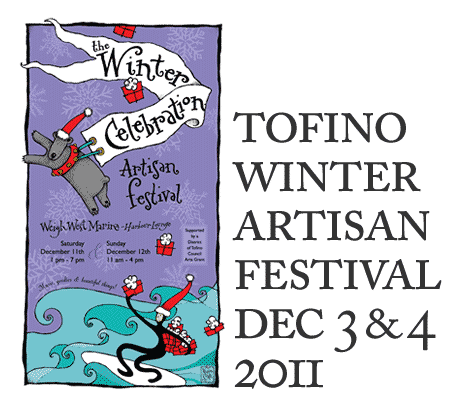 Join the fun, find those ‘made in Tofino’ gifts and stocking stuffers, and support your local artists!